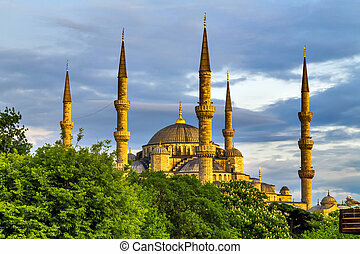 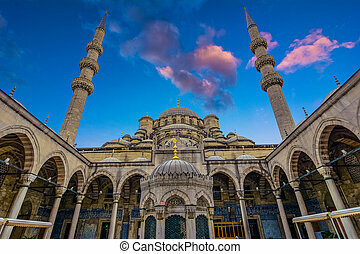 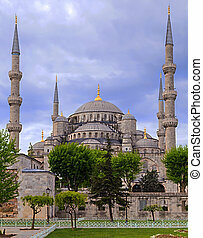 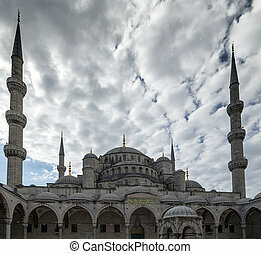 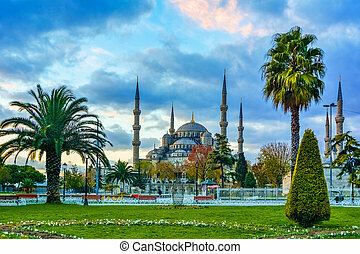 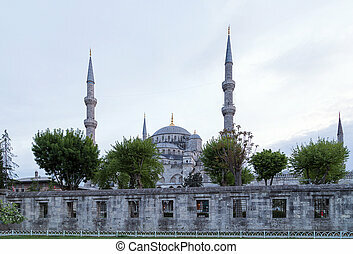 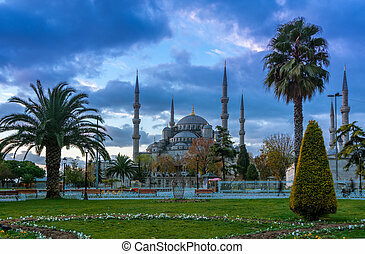 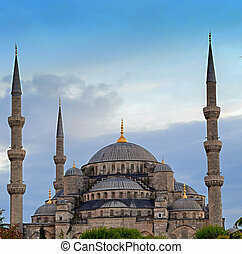 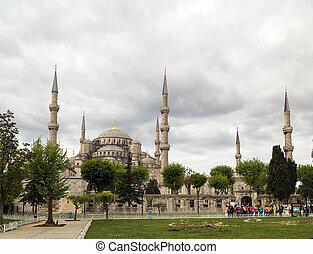 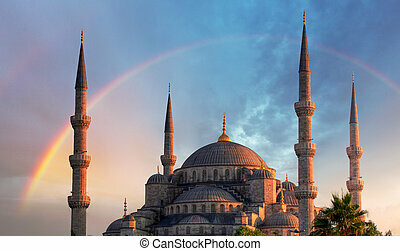 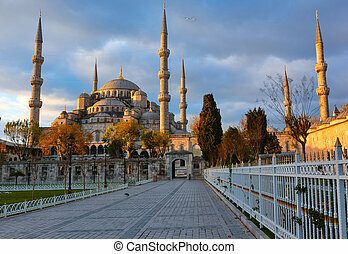 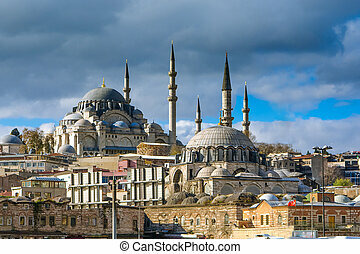 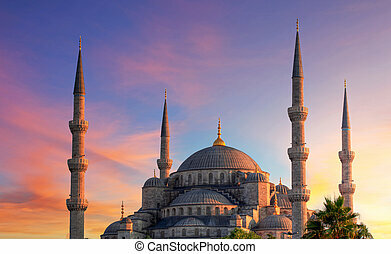 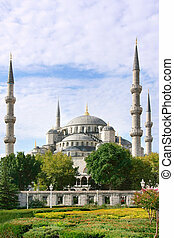 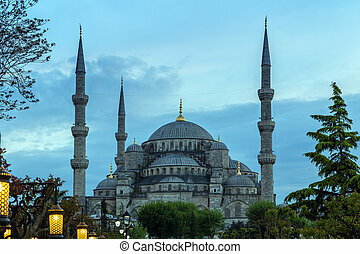 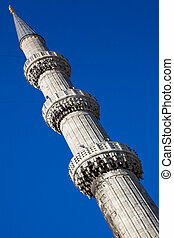 Blue mosque minaret, istanbul, turkey. 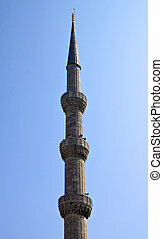 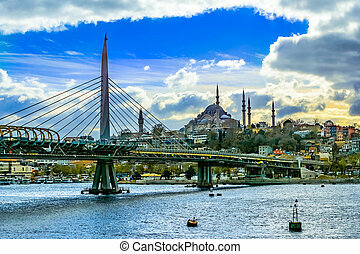 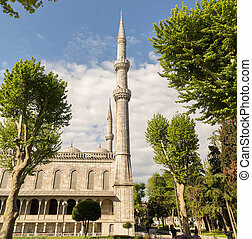 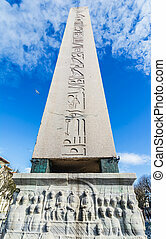 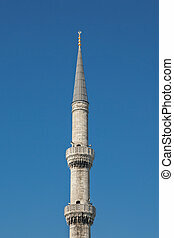 Isolated minaret on the blue sky from blue mosque, istanbul, turkey. 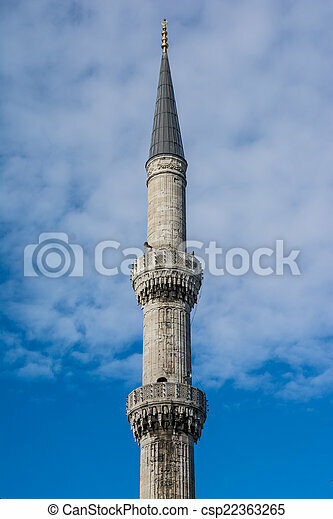 Isolated minaret on the blue sky from Blue Mosque, Istanbul, Turkey. 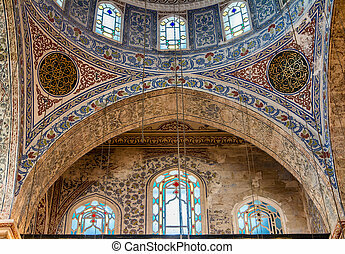 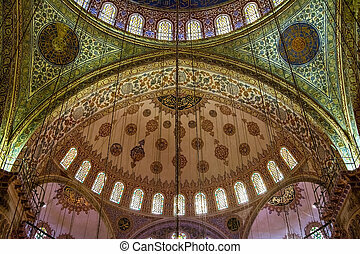 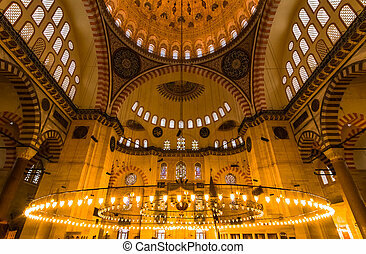 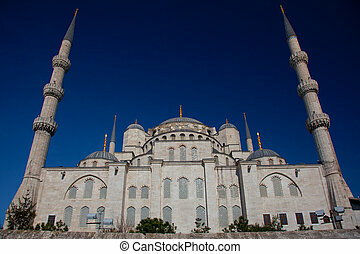 Suleymaniye Mosque interior in Istanbul Turkey- architecture religion background. 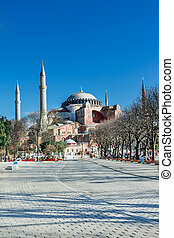 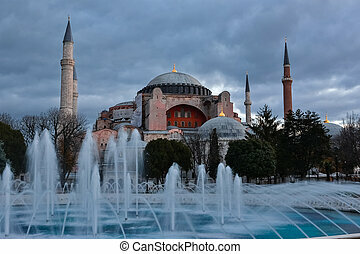 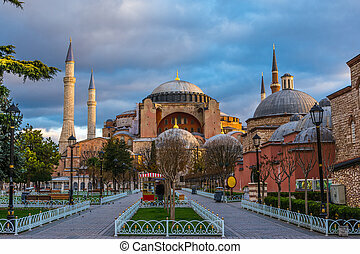 Hagia Sofia church in Istanbul, Constantinople, Turkey.